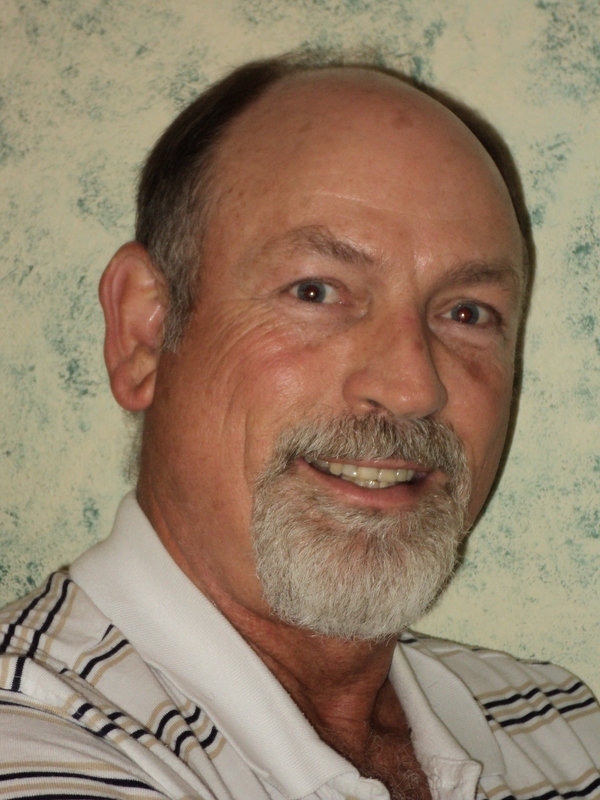 Jim Enyart has enjoyed a long Ag tire career that has included work with Michelin, Trelleborg, BKT and CEAT Specialty Tires. He earned an Entomology and Zoology degree from Colorado State University, and held an Ag Consultants license from Colorado and Oregon for over 30 years. When asking the question as to whether or not farmers need radial ag tires, the simple answer is: no, not really. But, there is more to the story. Farming began early on when the hunter-gatherers advanced enough to either move closer to their food sources or bring those plants and animals closer to their living quarters. Humans are programmed to look at alternatives to everyday tasks in the attempt to make life easier or better. Advancements continued by domesticating various animals and utilizing them to assist with farming operations. As the Industrial Age arrived, mechanical power was developed and used to help with food production. Power units with wood or steel wheels of multiple configurations were also developed and used successfully in farming operations. When these rough riding tractors went into service, operators started dreaming about improvements that could make the tractor even better. Many attempts occurred, but a great advancement happened in the early 1800s when rubber was first vulcanized into a usable form by Charles Goodyear. That allowed rubber to become a viable option to enhance performance. This started the rubber tire’s journey of providing an improved ride for generations to come. About 50 years later, John Dunlop developed the first pneumatic tire followed by the radial design that was first introduced in 1915 by Arthur W. Savage. The first successful radial tire was produced in 1946 by the Michelin Groupe. The rest is history—but not quite. There are more advancements to come. As the tire design and improvements were progressing, the utilization of those tires extended to most all modes of transportation. 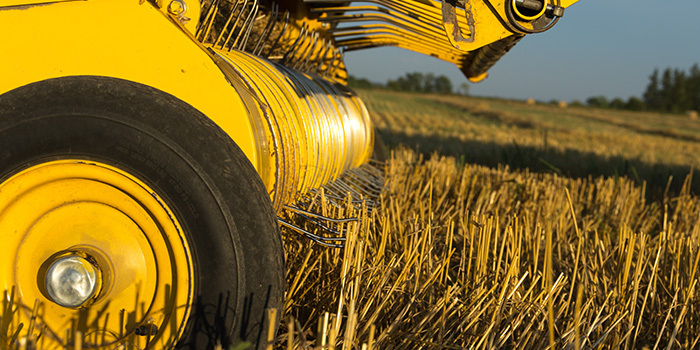 The first tires utilized in farming operations were originally built for other applications. While the pneumatic tire was a great advancement in many aspects of farming, there were more than a few attempts to improve specific characteristics of the tread patterns to enhance their performance in various applications. These bias pneumatic tires served the purpose for many years and were quite an improvement over non-pneumatic tires. With the introduction of the radial tire design, the whole world of tires changed dramatically. Radial tires delivered performance enhancements such as a longer service life, increased efficiency, improved handling, improved ride, larger footprints, reduced ground pressures, and improved traction and flotation. Wow, what an upgrade! These improvements have lots of beneficial features, but the basic need to carry a load and transfer power to the ground was not changed. There are multiple advantages to farming with radial tires when it comes to maximizing crop production potential by reducing compaction. Reducing soil compaction improves root development, nutrient uptake and results in maximized crop yields. Increasing traction results in better efficiency and reduces time as well as fuel consumption. The improved ride reduces operator fatigue and the wear and tear on the equipment. Improved flotation makes farming possible under adverse conditions and reduces compaction potential. The improvements that came with radial technology have resulted in increased comfort and efficiency. Would we would still be able to farm if radial tires were wiped from the face of the earth? Absolutely! This is the 21st century and some countries in the world still do not utilize radial ag tires. They get along just fine with bias tires because they fit their production system very well. For instance, a very large state-owned sugar cane operation in Nicaragua was running all bias ag tires until recently. They planted three rows of sugar cane and cultivated two rows at a time. This was confusing since there was no cultivator blight present. After many questions to understand how the absence of cultivator blight could possibly occur, they explained that they plant as well as cultivate with GPS guidance systems on their tractors. Who would have thought they run all bias ag tires and plant with GPS-guided tractors? This is a prime example of how assumptions can be extremely misleading. We were able to improve their efficiency and reduce compaction by adopting radial ag tires on their tractors. Operators that tested the radial outfitted tractors did not want to go back to the bias outfitted units due to the improvements in the ride. Do they absolutely need radial ag tires? Not really, but they have improved their efficiency, reduced compaction and reduced the wear and tear on the operators and equipment. Farming would not be as efficient without the utilization of radial ag tires. Compaction management would be of greater concern. Production costs would be higher. Overall crop yields would be reduced a bit due to compaction. Farming with just bias tires is possible, but the utilization of radials is the preferred option in most countries due to the multiple advantages they deliver. This is similar to many product improvements that have occurred. Would you trade toilet paper for the old corn cob? Absolutely not. But we could survive with the previous system just like we would survive if radial tires had never been invented. The majority of farmers in North America are well versed on radial advancements and benefits. The vast majority of farms in North America have a mixture of radials on their field tractors and tend to have bias tires on their smaller, utility types of tractors. We still see some farmers utilizing bias ag tires on their farms, and I believe most of these operations are only looking at the out-of-pocket costs of bias tires vs. radial tires. There was a much larger price gap several years ago, but that price gap has closed considerably. When a farmer looks solely at pricing to make buying decisions, they usually get what they pay for. More educated buying decisions are made with pricing as a key factor, but there needs to be a 30% differential before the bias tires would cost out solely on a service-life calculation. Radials generally last 30% longer due to the design that puts more rubber in the contact patch. Tread depths also affect the service life so the deeper tread depths such as the R1W will have a longer service life than the R1s. If the performance and length of the service life is of no concern, then maybe a tire that just holds air would suffice. Today’s farmers are professional businessmen who continue to look at every aspect of their operations to improve production, reduce costs and increase efficiencies. Most farming operations rely heavily on their tire dealers to recommend and offer the best advice in making ag tire purchasing decisions. These purchasing decisions should be correct for the application as well as the situation. Tire purchases as well as all other inputs should be delivering the most value for the money invested. Recommending the new increased flexion (IF) and very high flexion (VF) technology is appropriate where needed. If you need to carry more load than your current radial or bias tires can carry, you should consider the IF tires since they can carry 20% more load at the same inflation pressures. The VF jump the load-carrying capacity by 40% if needed. If farmers are looking to reduce compaction potential, the IF and VF options should definitely be considered. This technology can also deliver better traction by increasing the length of the footprint that is created by the enhanced sidewall deflection and reduced air pressures, if utilized. Making changes to make jobs easier or more efficient is in the human DNA. We constantly try lots of things; some are not so bright (going over Niagara Falls in a barrel comes to mind) and others work out quite well. Failing when we try new things does not stop us; it encourages us since we learn so much with each disaster and are one failure closer to finding a solution. Optimism at its finest! Pessimists only watch and criticize since they don’t have much hope for those ideas that are a bit risky. As humans, we really must be lazy because we have changed, altered or improved so many things to make life easier. Farmers are at the far reaches of the DNA spectrum! Many farmers buy new equipment, run it for a while, then fix it so it works like it should. Very seldom is a farmer satisfied with the performance of any equipment – and they need something to do in the “off” season. Farming is an optimistic profession with crop productivity at the mercy of Mother Nature. She isn’t always very nice, and farmers have too much of an investment to throw in the towel when next year is going to be better. Ag tire purchases are usually made with the long term in mind and should include all options available. Bias tires still play an important part in farming operations, but the added features and benefits that the radial design deliver are often worth any price differential. The most important item to remember when recommending ag tire options is the correct fitment for the application. Incorrect fitments often lead to premature failures, and no tire ever fails when it is convenient. Down time is extremely detrimental to productivity.